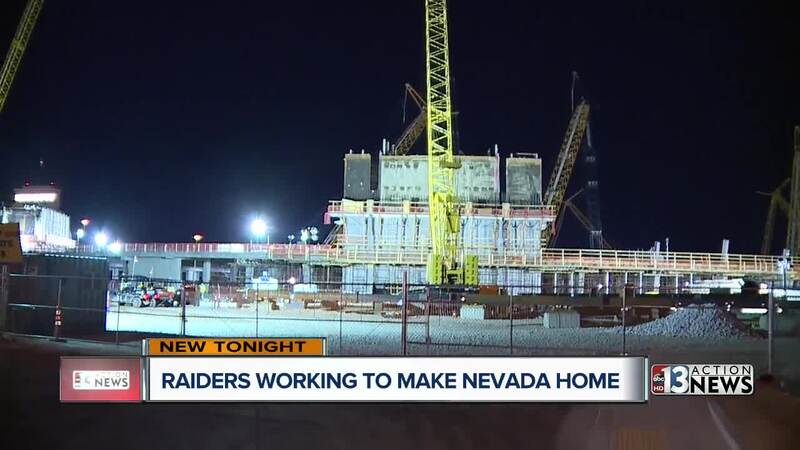 A day after touring potential sites for an offseason practice facility in Reno the Raiders said designs for their Henderson headquarters will be released soon. Marc Badain didn't say much else about the practice facility set to be built near the Henderson Executive Airport. The Raiders president made the statements after an event honoring graduates of the Hope for Prisoners program. Badain saying he enjoyed his trip to Reno Thursday where he looked at potential locations the team could practice in Northern Nevada during the offseason. "Reno was a good start. We are going to take our time to find the right place for the football team," Badain said. The team currently holds offseason practices in Napa, CA but is expected to look for a Nevada location upon their move to Las Vegas in 2020. As for the progress of the $1.9 billion stadium being built just off the Las Vegas Strip, Badain said: "it is fun to go by it every single day."